Automotive applications are the focal points for LED technology applications. Many LED producers have targeted the rapidly growing automotive LED market and searched for niche LED products. Lighting and display panels are the two major automotive applications for LED technologies. Headlights, fog lights and high/low beam lights adopting LED technologies have driven the growth of LED penetration rate. Meanwhile, LED applications for automotive panels including CIDs, HUDs, navigators and clusters have also expanded rapidly. LEDinside has estimated that the market value of automotive LED panels would grow from US$ 42 million in 2017 to US$ 87 million in 2020, with the CAGR of 2016-2020 at 25 percent. The applications of LED on exterior automotive lighting create multiple functions for automotive lighting. Aside from the features of high brightness and efficiency, LED headlights can be equipped with smart controls which allow each LED to be controlled individually for them to indicate information. Moreover, they may also turn into a projection system to mark the road when it is too dark to see the track. With the development of automatic vehicles, LED headlights can be further integrated with sensors to detect surrounding objects to improve safety. LED technologies also provide upgraded options for interior automotive lighting. By integrating the concept of Human Centric Lighting and smart lighting, LED applications for interior automotive lighting can generate different lighting scenario to enhance the comfort for users. LED producers have targeted automotive displays to apply their state-of-the-art technology. 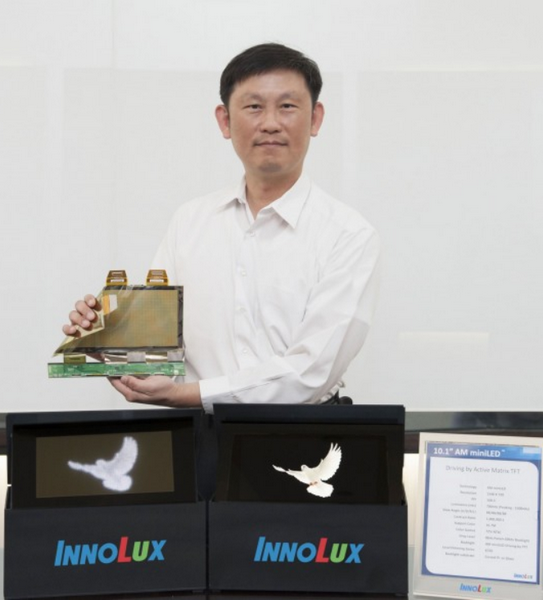 Innolux has showcased its 10.1-inch AM Mini LED automotive display at CES 2018. Featuring high contrast, high brightness and local dimming, Mini LED displays are suitable for automotive applications. Several LED producers have pushed their development of automotive applications as the profit margin is higher. However, the validation processes for automotive applications are usually complicated and long, making it challenging for the manufacturers to break into the supply chain of automobiles. EU Research Project Aims to Reduce Production Cost of OLED for Next Generation Lighting Leading Trade Fairs for over 30 Years, What is New in WELLMAX at the Upcoming Autumn Exhibitions?